As we so often observe, as people travel so do recipes. According to food historians, the recipes for cheesecake have been travelling and evolving for over 8,000 years. Over time, ingredients have been added or changed, some have been baked whilst others unbaked, and the finished cheesecake may have remained simple or been decorated. Today there really is a cheesecake for everyone. It seems that the earliest record of what could be described as a ‘cheese cake’ dates back to the 5th century BC, when the Ancient Greeks prepared small rounds of fresh (probably goat’s or sheep’s) cheese that had been mixed with wheat flour and honey to make plakous, which were then baked. These early cakes were served at weddings in Greece and are also said to have been given to athletes competing in the first Olympic Games in 776 BC. The Greek recipe for plakous figures in a recipe dating from 230 AD written down by Athenaeus, author of Deipnosophistai (The Gastronomers). Although the Romans appear to have inherited a taste for cheese cakes from the Greeks and sometimes enclosed the cakes of cheese in pastry as a labuma, as described by Roman senator Marcus Cato in the first century BC, pastry at that time in the Mediterranean was generally made with olive oil rather than butter. We have to jump to the late 14th century to discover a cheese cake in the form of a tart, with a pastry base made from butter. 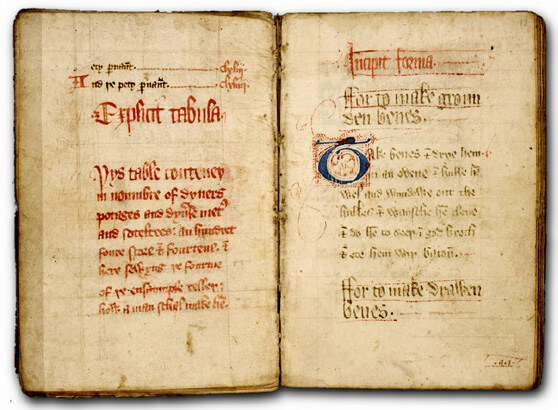 The English cook book The Forme of Cury (cury was the Middle English word for cookery) dating from ca 1390, was a collection of recipes gathered from King Henry II’s cooks and contains two cheese tarts, one made from curd cheese and one from a semi-soft cow’s cheese and flavoured with rosewater and ginger respectively. So already, there seems to have been a habit of using soft cheese. From then on, cheese cakes continued to appear in practically every English cookbook, many of which were written by the women employed as cooks in the kitchens of the great town and country houses. Later, in the 16th century, it seems that King Henry VIII was particularly partial to a cheese cake made from soft cheese, milk and sugar. Based as it is on relatively easy-to-find and affordable ingredients, it is not surprising that the English took their love of cheese cake to the American colonies of New England and already in 1730, Philadelphia had its “Cheese Cake House”. We learn that on her marriage in 1749, Martha Washington gave as a gift to her husband a recipe book entitled Booke of Cookery and Booke of Sweetmeats, which contained three cheese cake recipes, all baked in pastry crusts. These early American cheese cakes were often flavoured with rosewater or spices, but by the 19th century, these had generally been replaced by lemon or vanilla. The 19th century saw the innovation of using a cream cheese as we know it today, thanks to American dairyman William Lawrence. In 1872, Lawrence succeeded in making a soft crumbly cheese similar to his neighbour’s Neufchatel cheese from un-ripened cow’s milk cheese in Chester, Orange County. Shortly afterwards, and thanks to the intervention of a New York grocery store, Lawrence was encouraged to add a significantly larger amount of thick cream and so the real cream cheese was born. By the early 20th century, this type of cream cheese was already appearing in recipe books such as the 1912 publication The Twentieth Century Book for the Progressive Baker, Confectioner, Ornamenter and Ice Cream Maker, written by Fritz Gienandt. However, most Americans continued to use curd cheese in their cheese cake recipes until cream cheese became something of a fashion in cheese cakes, which were now becoming known as ‘cheesecakes’. It was Arnold Reuben, a New York restaurateur, who is credited with popularising what would become one of New York’s – and later the USA’s – most famous desserts: the cheesecake made with cream cheese. 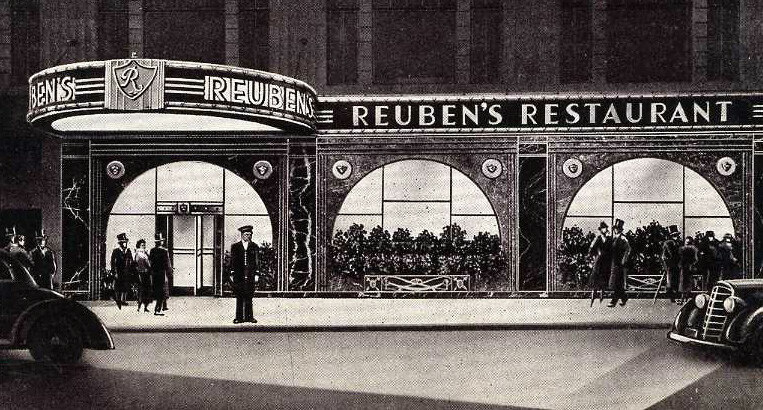 Indeed, the real spread of the New York style cheesecake was propelled by the imitation and commercialisation by New York delicatessen or delis of what many people were sure had been pure plagiarism of the recipe for cheesecakes served in Mr. Reuben’s restaurants. Yet if this was plagiarism, it was also accompanied, once more, by innovation. Delis began to sell cheesecakes topped with fruit or even with fruit mixed in with the creamy cheese filling. Chocolate or caramel might be served on or accompanying the cheesecake, whilst the pastry shell was sometimes replaced by a biscuit base. Today’s recipes may contain eggs, in greater or lesser quantities, sour or double cream. Around the world, local soft cheeses are still used in local cheesecakes, so that the Italians may use ricotta, the Greeks may prefer feta while the Germans opt for cottage cheese. Cheesecake may sentimentally be thought of as a New York speciality, but in reality the cheesecake of today is a truly global confection with local twists. Mix all ingredients to a homogenous dough. Laminate to 3 mm and dry at 180°C for 12-14 min, damper open. Crush short crust and mix with melted Mimetic*. Flatten the plain crust mix in the base of a greased ring of ∅18cm/4 cm. Fill the ring with Deli Cheesecake*, spread flat and bake in a deck oven at 160°C for 55 min. After the cheesecake has been baked and cooled down, spread a layer of blueberry topping on top. Use Carat Coverlux White* (compound chocolate) to make circles for decorartion and add fresh blueberries. Mix all ingredients to a homogenous dough. Laminate to 3 mm and shape the shells. Bake at 180°C for 15 min (half baked) damper open. Make an anglaise cream (85°C) with the first 4 ingredients. Pour through a sift on top of the cheesecake and lemon juice. Mix together and fill the pre-baked tart shells. Shape the tart shells and bake 15 min (half-bake). Allow to cool down and fill with the cheesecake composition and freeze. Once frozen, add egg wash and bake directly (frozen). Bake at 190°C for approx. 15 min. The cheesecake filling has to be creamy after baking. After cooling down, decorate with a chocolate disc and a fresh raspberry. Deli Cheesecake is a unique product, made with fresh cream cheese and eggs and specifically developed to allow you to make the real New-York cheesecake. Pimp your cheesecake with fruits, chocolate,… what your creativity tells you.